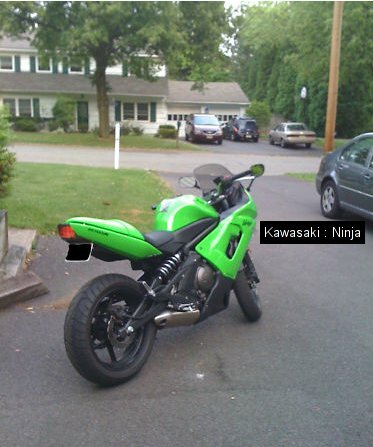 Description My 2008 Kawasaki Ninja 650r was stolen this night. My bike is green and has a bright LED integrated tail light. It also has two 6" green LED strips underneath the tail. It is my first bike and I bought it 3 weeks ago.